I had the most hectic day today. Running around like crazy and trying to catch up from my Disney press trip. I did a ton of video editing and shooting all morning long and barely squeezed in an hour of writing in the afternoon before having to jet back out of the house again. My daughter’s Girl Scout Bridging ceremony was today and we had a little drive ahead of us. Needless to say, my head has been SPINNING since 7AM. 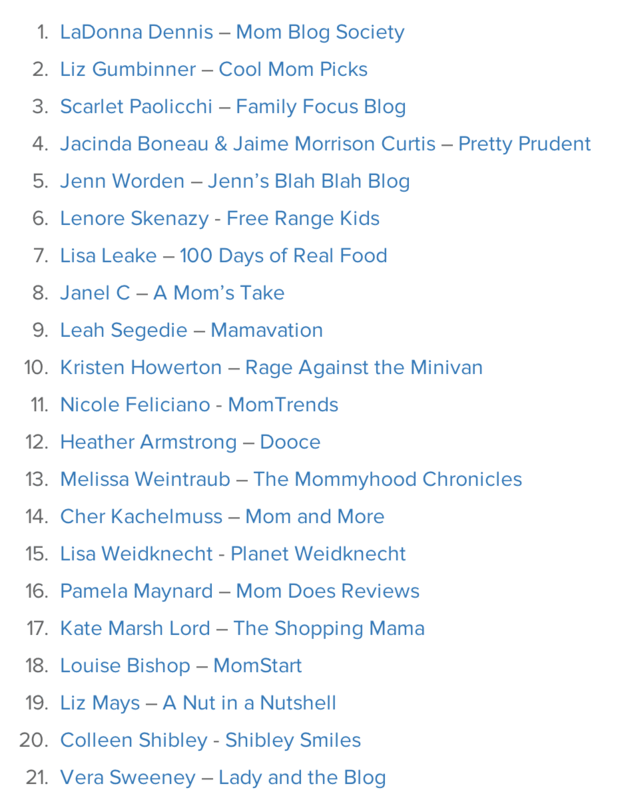 While hosting a Twitter party this evening, I received notice that I was placed on Cision’s ‘Top 50 US Mom Blogger’ list for 2014 and everything just STOPPED. My brain froze and all that noise that was circling in my head quieted down. After reading the post 6 times in a row, it sunk in. How simply amazing!! Cision used measurable data to come up with this list which makes me appreciate the nod that much more. Just wanted to say thank you to everyone who virtually stops by my “house” on a regular basis. I have so much fun writing this blog and I wouldn’t be able to do it if it wasn’t for this friendship that we’ve created. Thanks for reading our message. We are from http://www.living123.com/. The site is about creative home decor accessories and we are located in Hongkong. Your blog appeals to us a lot. We are wondering if there is any chance for us to get the cooperation. We would like to sponsor your blog with free giveaways or other manner if you have any suggestion.